Most of the time, my pages are telling a story. I try to choose papers, embellishments, and titles to support that story. 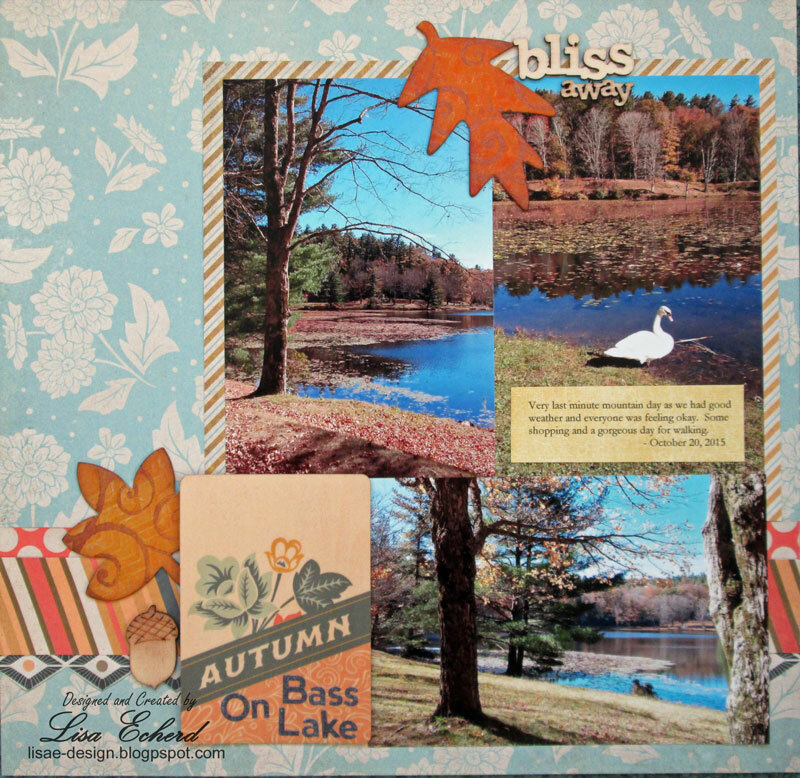 Today I just want to make a pretty page to show off some pretty fall photos. I also want to work down my stash to make way for new products. These papers are from Basic Grey's Persimmon line a couple of years back. For the leaves, I used the last of my large chipboard leaves and added color with the Gelli Plate. The paint went on so smoothly with nice details and it dried super fast. Beautiful page. I love how you coloured the leaves.